What is REX 5 – Sky Force 3D? Intelligent weather engine that harnesses over 70,000 points of weather data globally. The weather engine reads and interprets live model data to sample the atmosphere and therefore will sync the appropriate clouds structures, allowing for more accuracy. 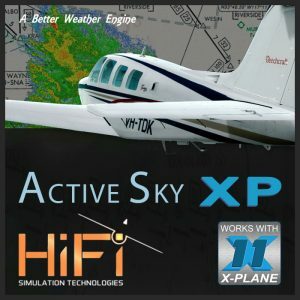 Utilizing the weather engine is as simple as opening REX Sky Force and the simulator. That’s it, everything is done automatically without the fuss! Installing textures into the simulator is lightning fast; in most instances this process takes less than 1 second to load a full suite of replacement textures! Ability to select and install textures individually and/or create custom ‘themes’ to install a full suite of textures instantly. Major Road Overlay – To give more detail and help especially to the pilots who like to fly VFR, we provide a significant road overlay to follow. Zoom Feature – Allows you to zoom into the local level and zoom out to the regional level.